Nervousness about class assignments, learning new material and upcoming tests is normal. But for some children, school can be the source of stress, which can lead to such intense anxiety that some children insist on not going. 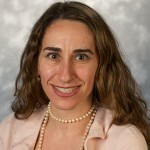 “In mental health terms, we call this school refusal, school phobia or avoidance,” said Dr. Sumru Bilge-Johnson, director of the child and adolescent psychiatry fellowship program at Akron Children’s Hospital. While school refusal can affect children of any age and at any time, it tends to be most common in children who are going through new stages or transitions, such as their first time in kindergarten or middle school. More specifically, children may refuse to go to school because they’re worried about being separated from parents or feel as though they’re needed at home, such as in the case of a recent divorce. They may also be experiencing stressors at school, including negative peer interactions/bullying, learning difficulties and other concerns. It’s important to make the distinction between children who have these anxiety-based concerns and those who simply don’t want to attend school. Beyond a child refusing to go to school, there are a variety of physical and emotional signs of school-based anxiety disorders. “Parents and caregivers may also notice that the behavior comes up more often after the weekend, holidays or vacation,” said Dr. Bilge-Johnson. Role-play at home. This approach can be especially useful for younger children. During playtime, pretend with your child that his stuffed animals have some of the same anxieties he does and show how the stuffed animal deals with anxiety successfully. Read stories together about school. You might ask your local librarian for suggestions of books that illustrate children having difficulty going to school but then overcoming this worry. Some books about separation anxiety, like The Kissing Hand, may also be helpful for children. Try building up your child’s self-confidence. This can be as simple as giving your child tasks and asking for help at home and then telling her what a good job she’s done, like brushing her teeth or clearing the table after dinner. It is important to give your child a sense that she can manage some things on her own. Also, encouraging your child to try new things and having peer interactions to develop friendships can boost her self-confidence. Teach your child relaxation techniques. An easy one for children is to blow air out of his mouth (as if he were blowing bubbles) for 3–5 seconds and to repeat the word “calm” in his mind. Carpool with people in your neighborhood. By having another child in the car, your child won’t feel like she’s going alone to school. For children who ride the bus, encourage her to invite neighborhood children over for play dates so she gets to know children better who are on her bus. Discuss with your child what her specific concerns are about school. She may be encountering bullying, for instance, or another specific trigger during her school day. Talk to your school’s guidance counselor and/or your child’s teachers to develop an intervention plan. If your child still has issues contact a mental health expert for a full evaluation of school refusal and guidance. During Mental Illness Awareness Week take time to check in with your school-aged child about how her year is going so far. If she’s having any struggles, talk to her about her concerns.